New Image of Lizzy Caplan As 'Jolene Gillis' in 'QUEENS OF COUNTRY'! Queens of Country, the independent comedy from documentary duo Ryan Page & Christopher Pomerenke. Lizzy Caplan [Cloverfield] stars as Jolene Gillis, "the prettiest girl in a small Arizona town" who is obsessed with classic country jams. When Jolene finds an iPod stuffed with all her favorite songs she becomes stuck on the idea that the iPod’s owner is her soul mate & she sets out to find him. The movie also stars Ron Livingston & Tool's Maynard James Keenan plays the villain, Bobby Angel. Hit the jump to check out the image. Press Release: "Feb. 6, LOS ANGELES — Queens of Country, the irreverent Western tale of a lost iPod, line dancing and mistaken identities starring Lizzy Caplan and Ron Livingston, has just completed post-production and the filmmakers are in the process of making final decisions about where to premiere the film. The film has already achieved cult status with a thriving online presence dedicated to the quirky comedy. The Queens of Country cast members have been at the forefront of spreading the word about the unique film with Caplan describing the film as “bananas” to Esquire Magazine during her recent barnstorm of Sundance Film Festival (supporting two forthcoming features: Save The Date and Bachelorette) and Joe Lo Truglio describing the film to Ology as “a really funny, unique movie.” Phoenix Magazine‘s February issue profiled the Arizona-shot film and its directors, Ryan Page and Christopher Pomerenke, describing Queens of Country as “seemingly equal parts Raising Arizona and Urban Cowboy with a dash of Rocky Horror.” Rounding out the cast and crew of Queens of Country are Maynard James Keenan, the notorious front man for alt-rock outfits Tool, A Perfect Circle and Puscifer, as Bobby Angel, Modest Mouse songwriter Isaac Brock is handling the movie’s score and the legendary rockabilly singer Wanda Jackson performs in the film.“We’re so grateful that audiences are already lined up, if even in a virtual sense, to see Queens of Country. We definitely have a lot of love for the midnight movie. But we would never specifically set out to make one,” explained co-Director Ryan Page. “But when we started seeing fans dress up like the characters in Queens of Country and show up at screenings of our other films or even outside our offices, we realized that in a very real way that we may have made something that will reach audiences in the same way a Rocky Horror Picture Show or a Priscilla, Queen of the Desert has. Just wait until everybody sees the final version.”Producer Chris “Topper” McDaniel added, “At this point it’s about selecting the right festival to premiere the film at. It appears that we’ll have to make a very tough decision in the coming few weeks as to which of the film festival opportunities that have been presented to us to select but we hope to make an announcement by mid-March.” A byproduct of the mounting interest in Queens of Country is that demand for Page and Pomerenke’s involvement in projects continues to grow with the duo finishing up a spec script titled The Rogue President as well as having two feature film projects in development. Producer Chris “Topper” McDaniel is directing his debut film, the documentary Music City U.S.A. Sales of Queens of Country are being spearheaded by Cassian Elwes." Head over to the Movies facebook page to check out more images. 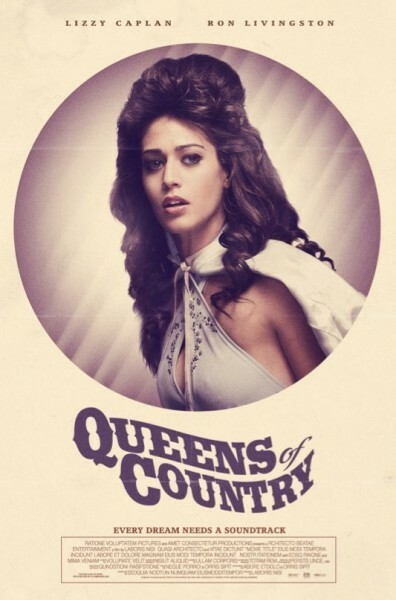 I'm reading: New Image of Lizzy Caplan As 'Jolene Gillis' in 'QUEENS OF COUNTRY'!Tweet this!